Paldesk allows you to manage all email inquiries from a single dashboard along with messages from live chat, mobile apps, and social channels. 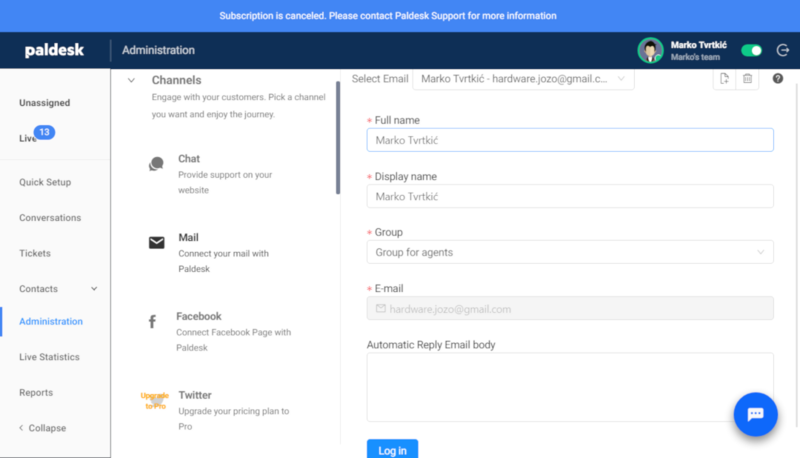 Here’s how to connect your email account with Paldesk. 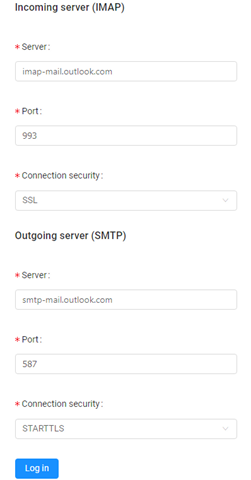 How to connect Email to Paldesk? Step 1: Login to your account and navigate to ‘Administration’. Under ‘Channels’ click on ‘Mail’. Step 2: Click on the white button that has paper on it in the upper right corner, next to the thrash can icon, to start integrating your email account with Paldesk. Step 3: If you are using Gmail simply press on the ‘Sign in with Gmail’ button at the bottom of screen and follow Gmail’s standard prompts. Step 4: Fill out the required information. In order to finish integration select the desired Group and press ‘Log in’ button. First, you need to allow apps that use less secure sign in. To do so, follow this link, sign in with your Yahoo credentials, and turn this feature on. Applies to Yahoo only. Step 2: Click on the white button that has a paper on it in the upper right corner, next to the trash can icon, to start integrating your email account with Paldesk. Step 3: Enter your email login credentials and click ‘Log in’. Step 4: Enter the appropriate server configuration credentials, pictured below and click on ‘Log in’. Of course, if you use a different email service than the above, simply contact your provider to obtain the appropriate server configuration parameters for the fields shown above.